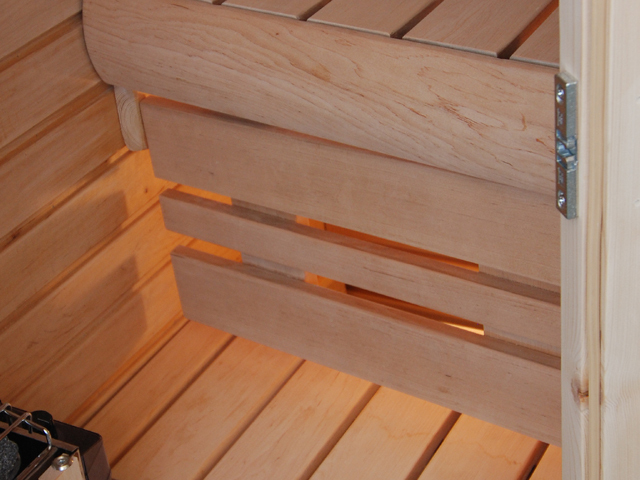 The NL1212V Heat is a true sauna experience even though the sauna dimensions are surprisingly compact. 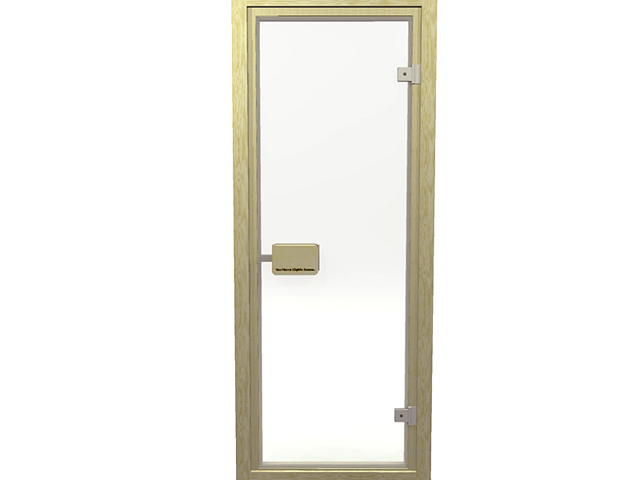 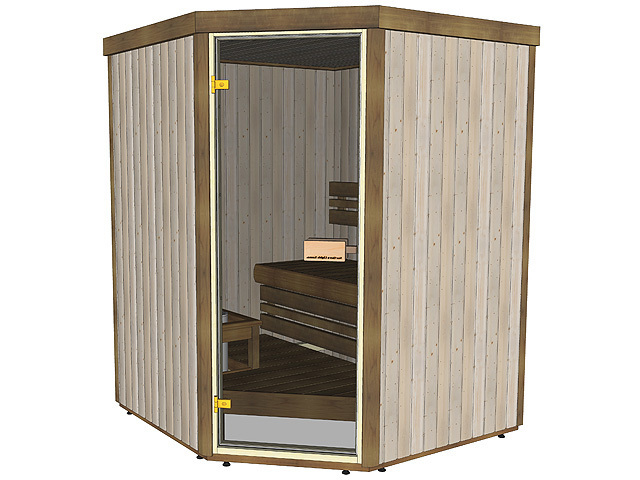 This sauna model is suitable to be installed in a corner of a room, as its slanted door takes less space from the room. 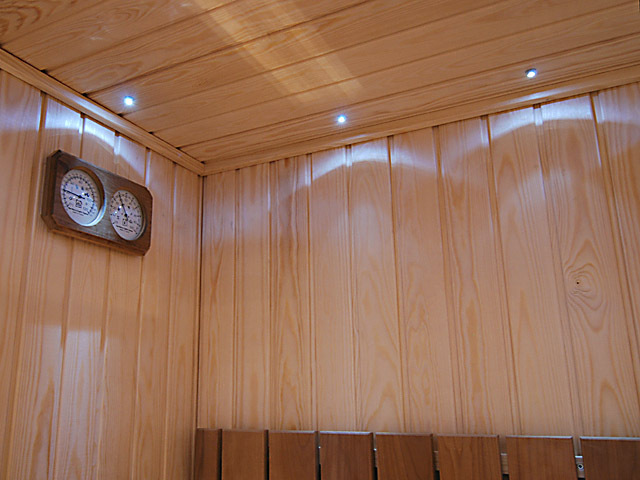 One person will bathe in comfort, two persons with ease, enjoying full steamy relaxing sauna. 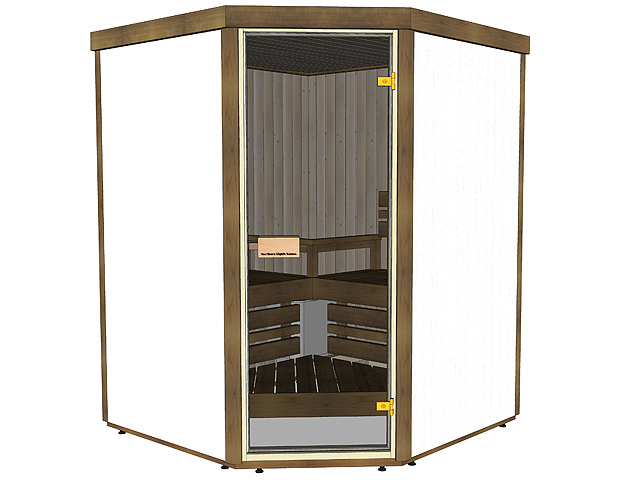 Try this sauna to your home with our very easy to use design tool, and find the right sauna for you. 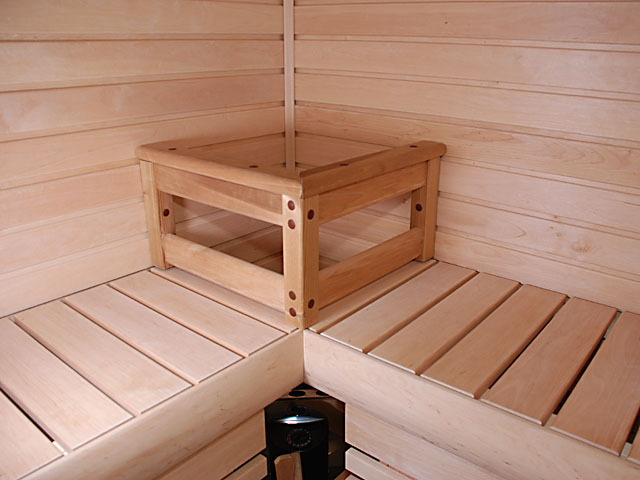 Choose the right sauna for your space, and you will experience the feeling of sauna in your own home. 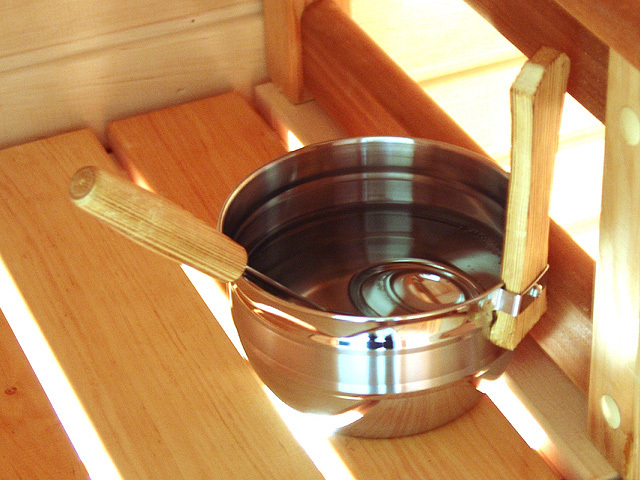 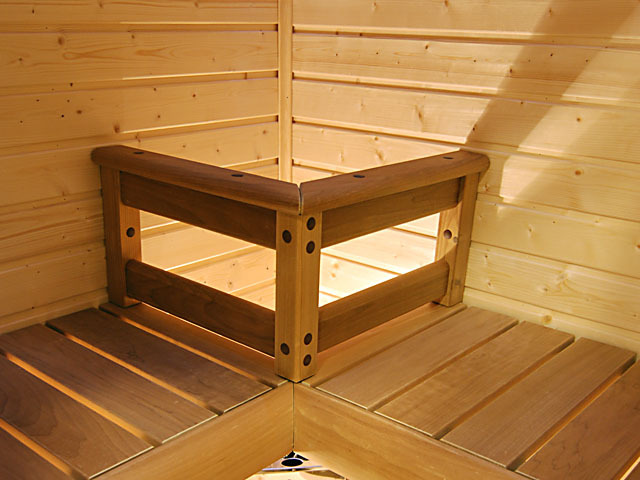 Order a fabulous NorthernLights sauna. 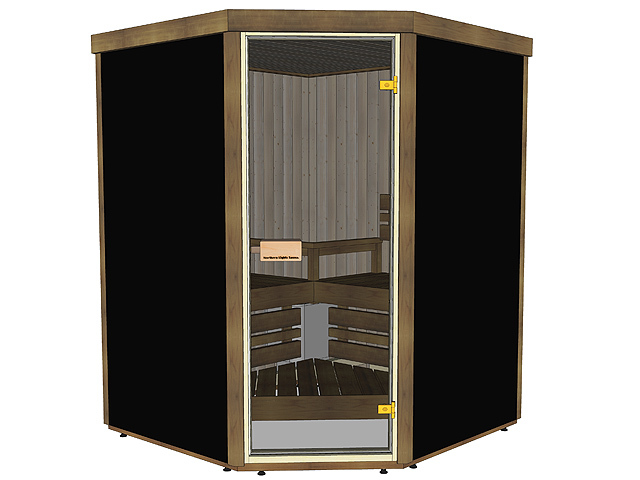 Your sauna is hand made exclusively for you, with your selected options and features, and shipped directly from the factory in Europe to you. 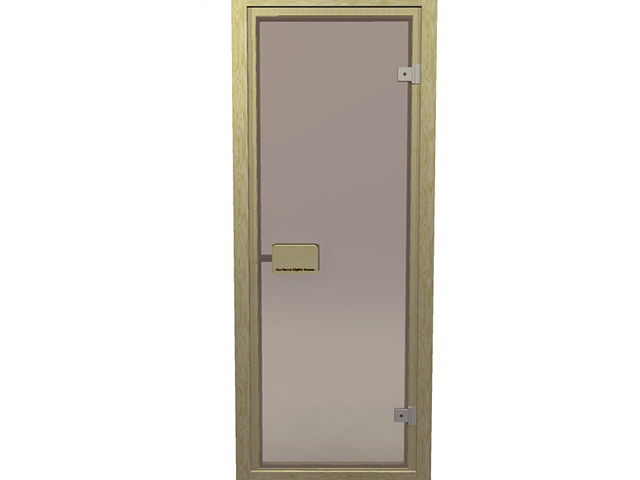 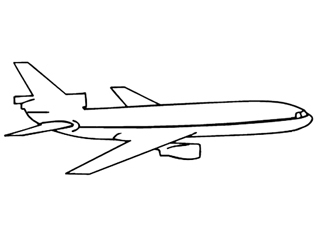 Size: 45.25x45.25, height 81in (115 cm x 115, height 205 cm). 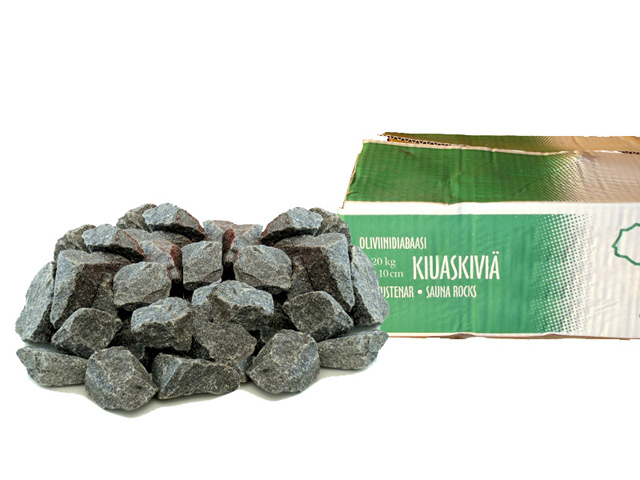 Weight about 600 lbs (270 kg). 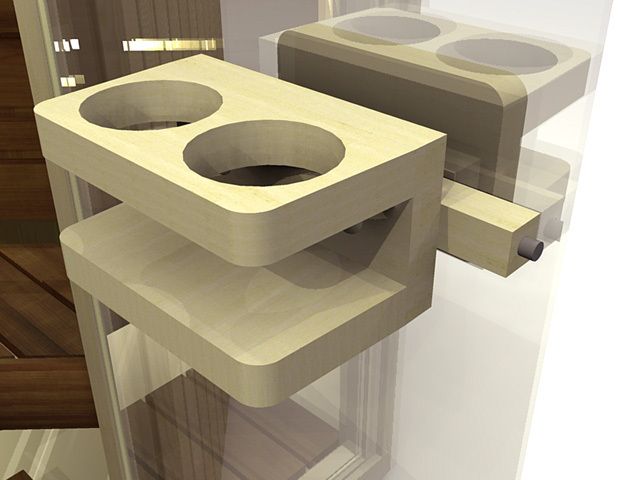 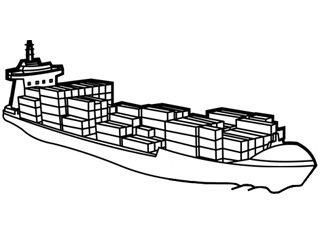 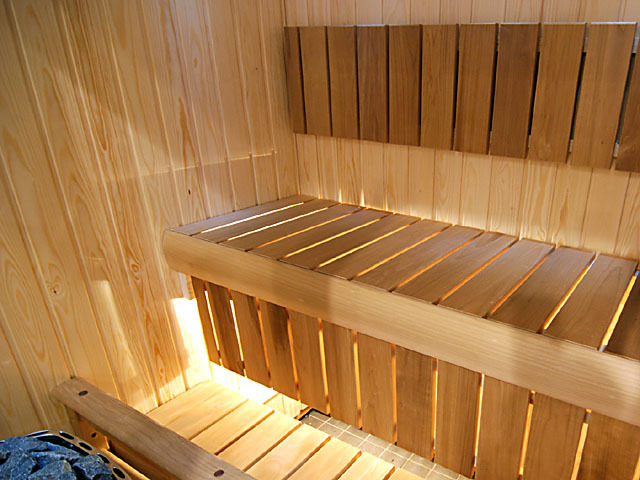 The largest wall unit is sized 45 x 77in, thickness 2.4in (115 cm x 195 cm, thickness 60 mm), weight about 80 lbs (36 kg), so two persons are required to lift the sauna parts indoors. 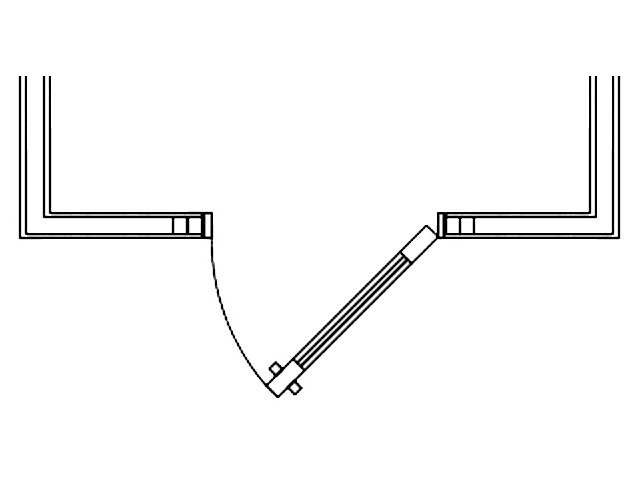 The benches are delivered assembled. 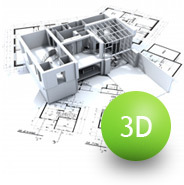 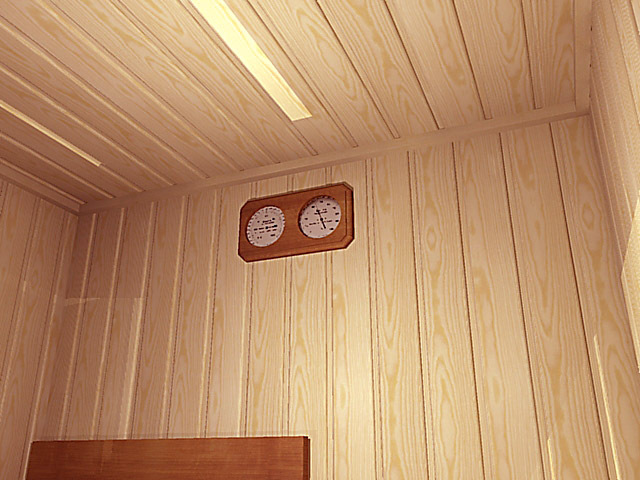 Make a notification to your landlord, building manager or other required instances before ordering the sauna, and make sure there are no objections to installing the sauna. 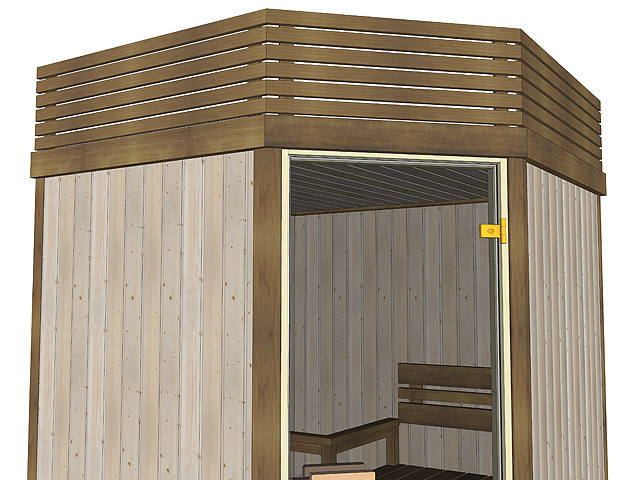 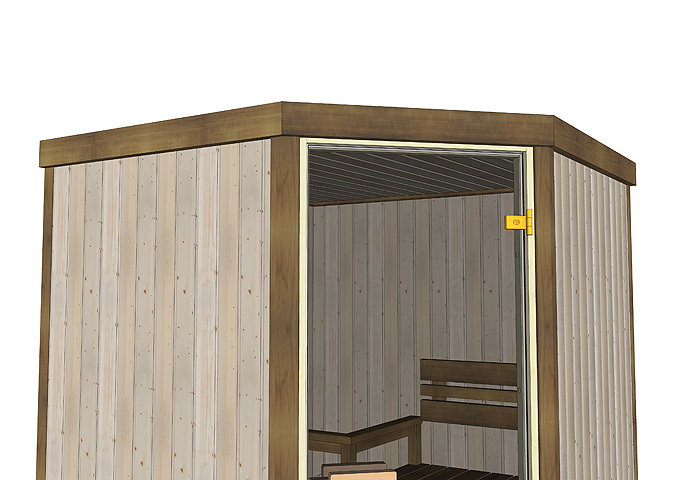 A pre-constructed sauna is a piece of furniture that does not require a building permit nor a HVAC-plan. 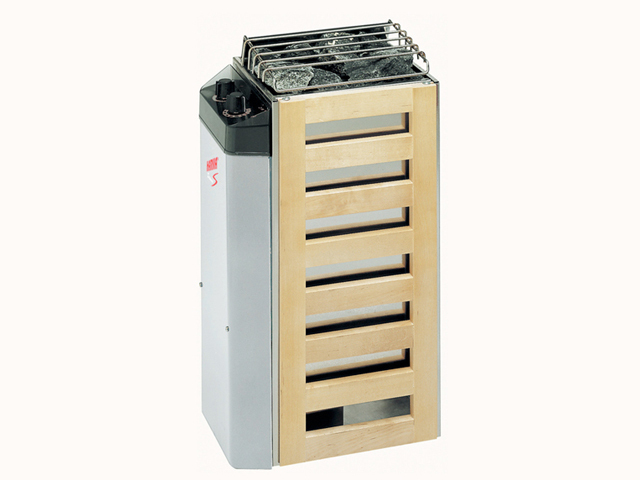 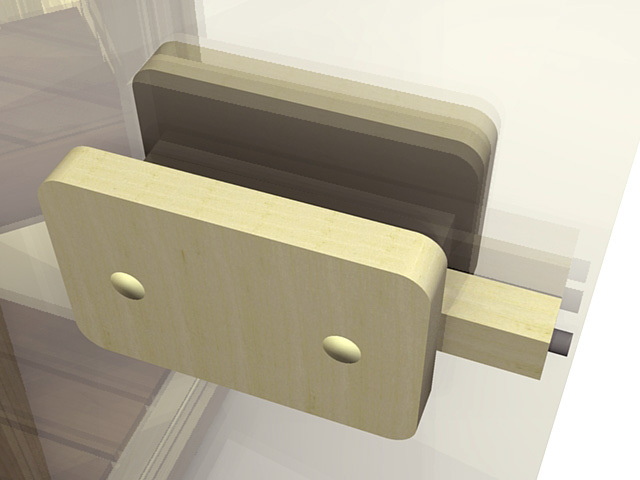 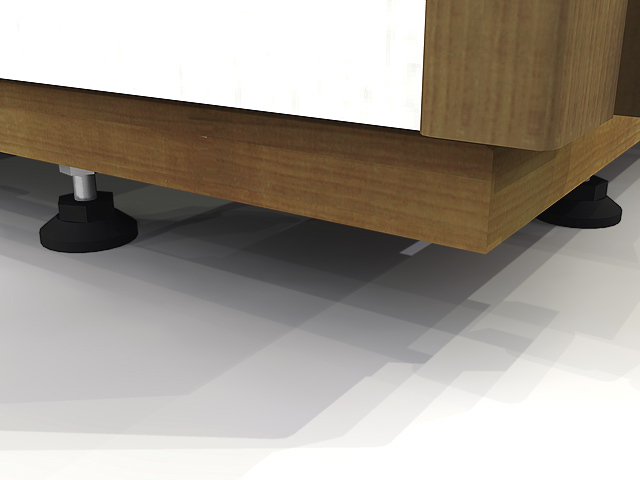 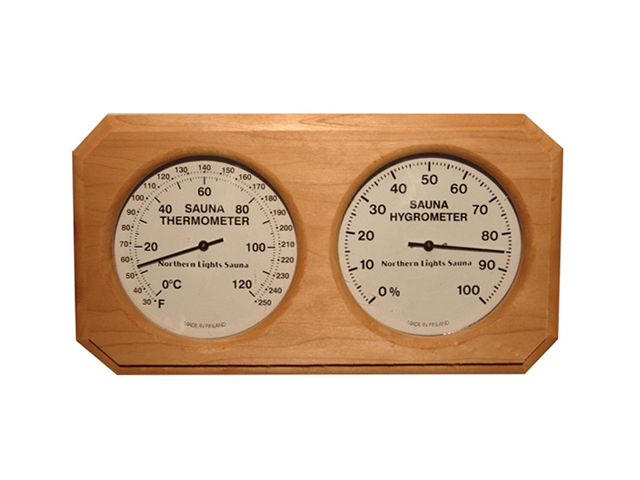 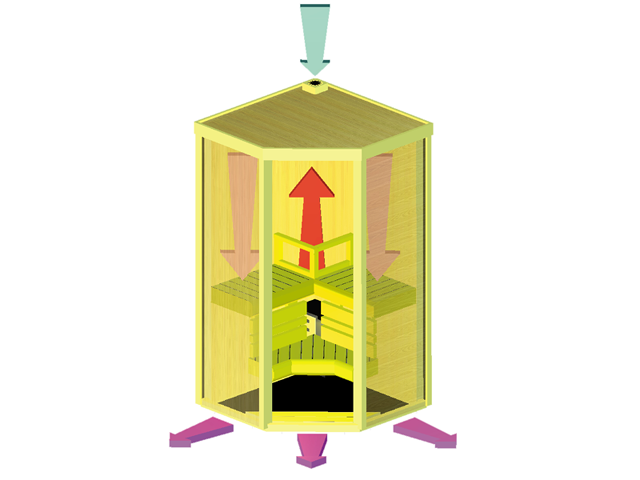 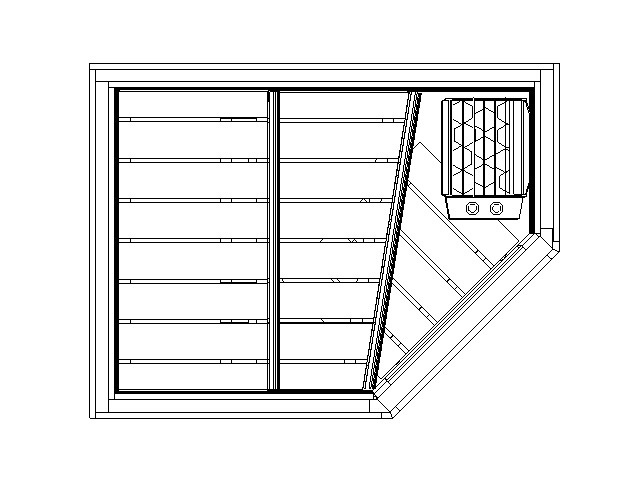 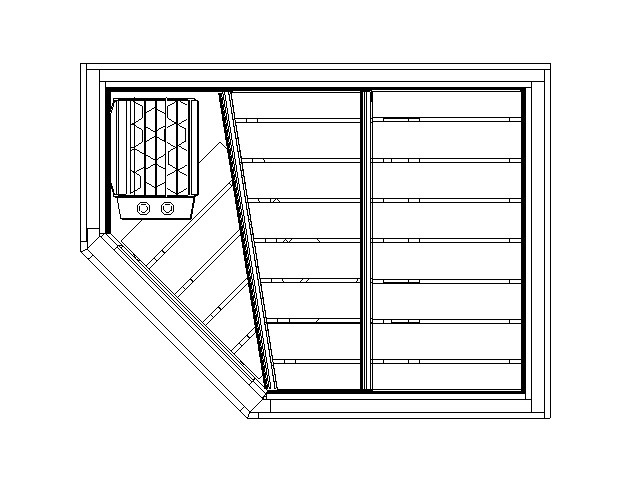 The sauna heater power is 3,0 kW, connected to a 120V line in one phase, and therefore the fuse for this connection needs to be a minimum of 32A. 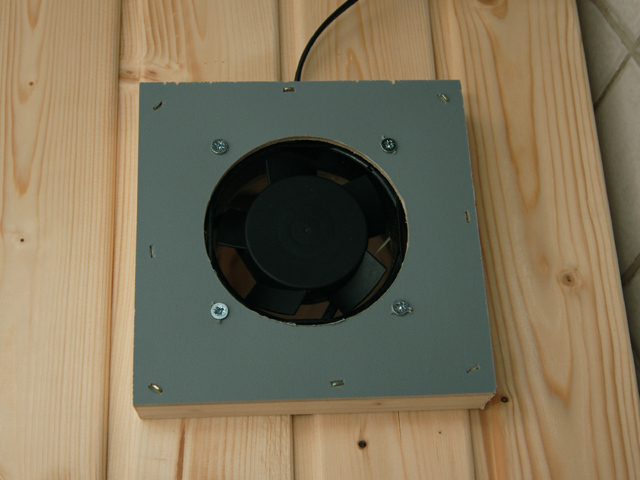 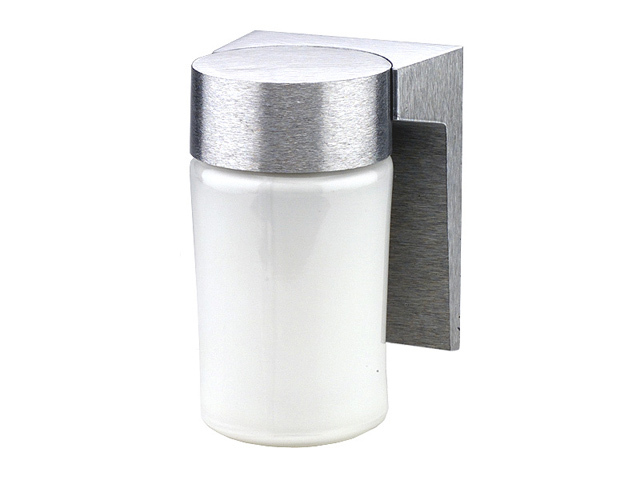 The other electrical equipment are the sauna light (10-40W) and the fan (15W). 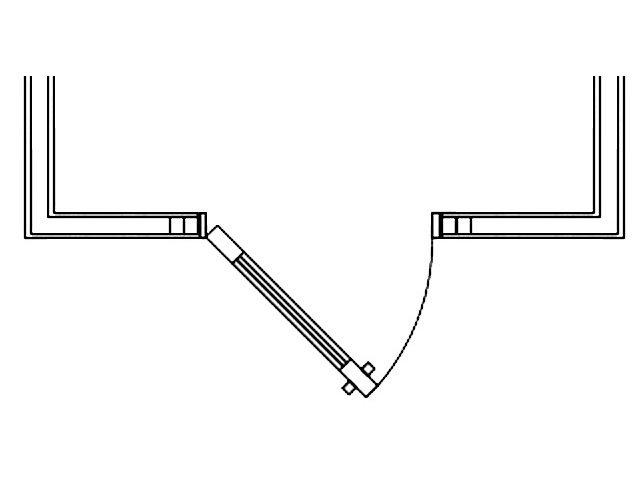 As an option there is also a LED starlight kit with 12 lights (6W).